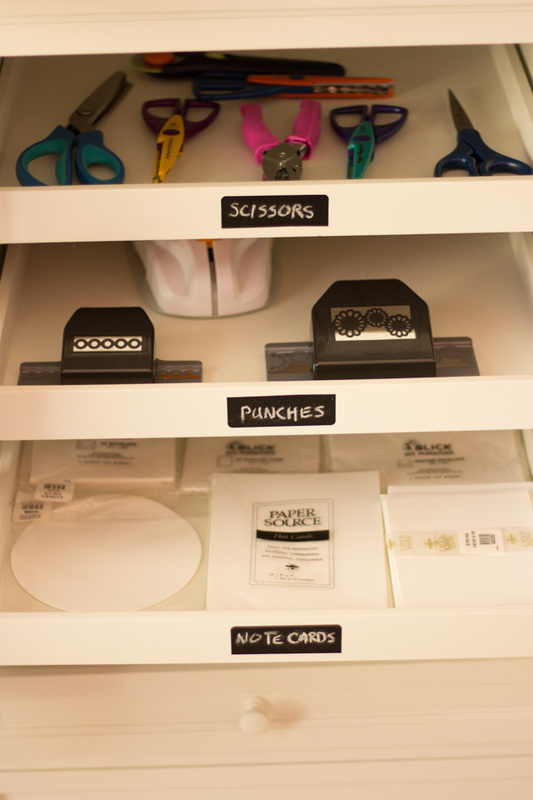 I thought these little shelves were perfect for my scissors and paper punches. 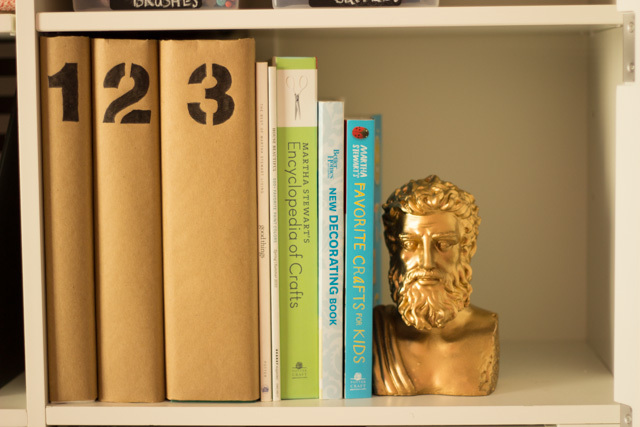 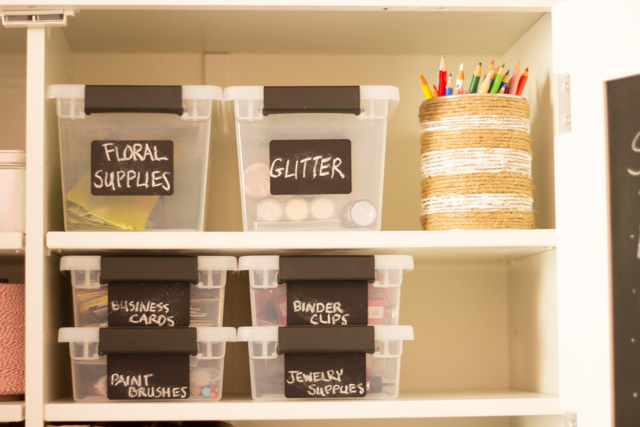 The bottom shelf holds blank notecards. 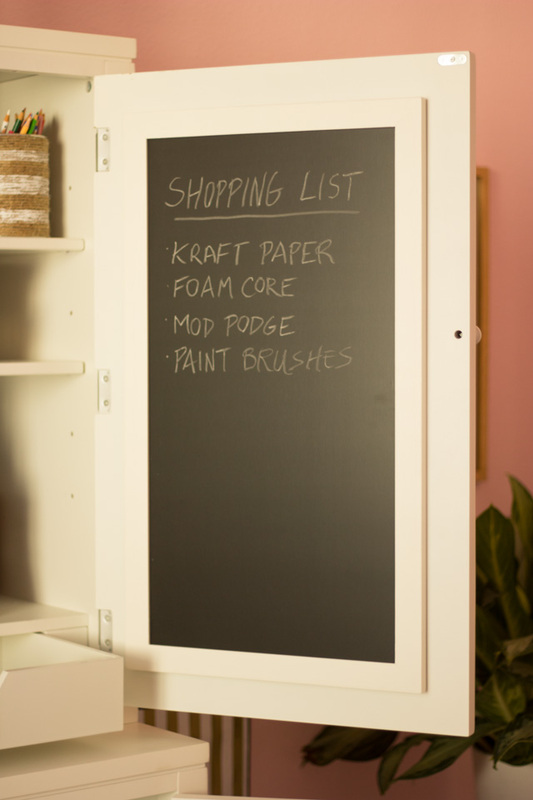 I added the repositionable chalkboard labels to these shelves as well. 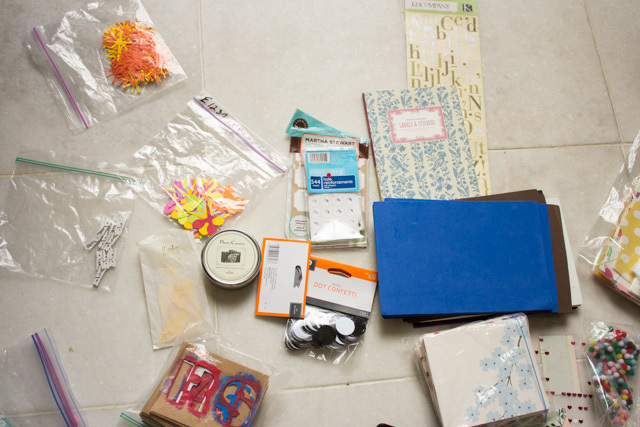 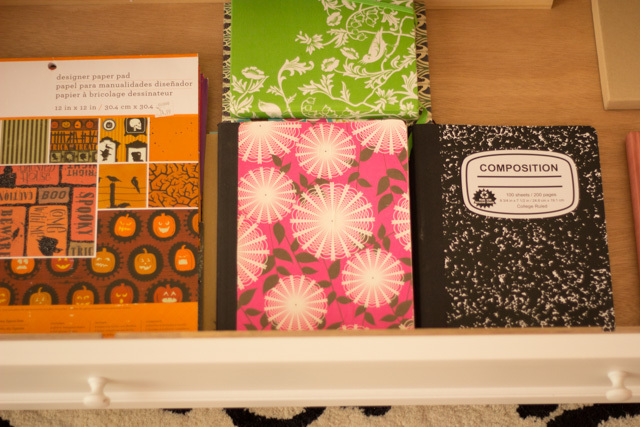 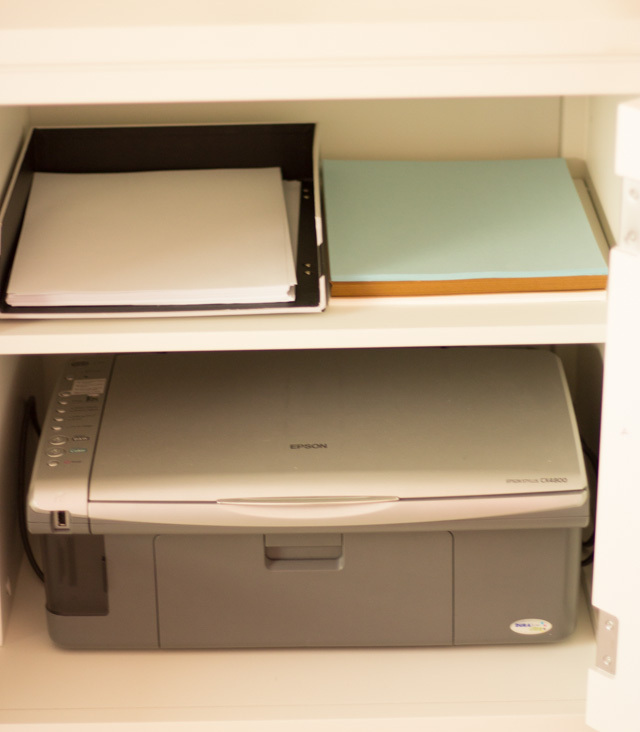 On the bottom drawer I’ve stored my scrapbook paper pads and extra notebooks. 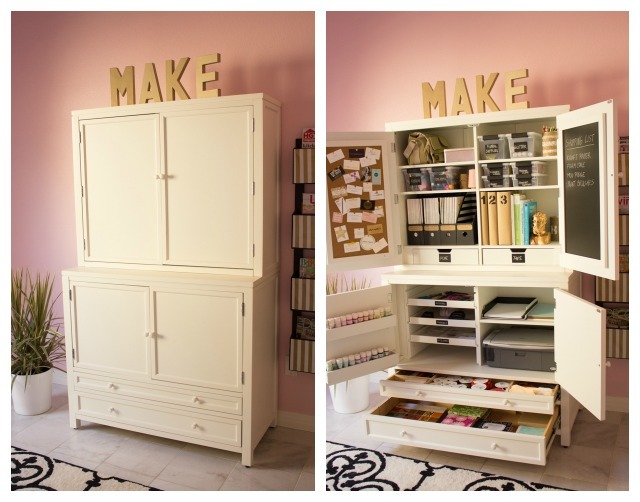 Wow – this single piece of furniture from Home Decorators Collection packs a big punch, wouldn’t you agree? 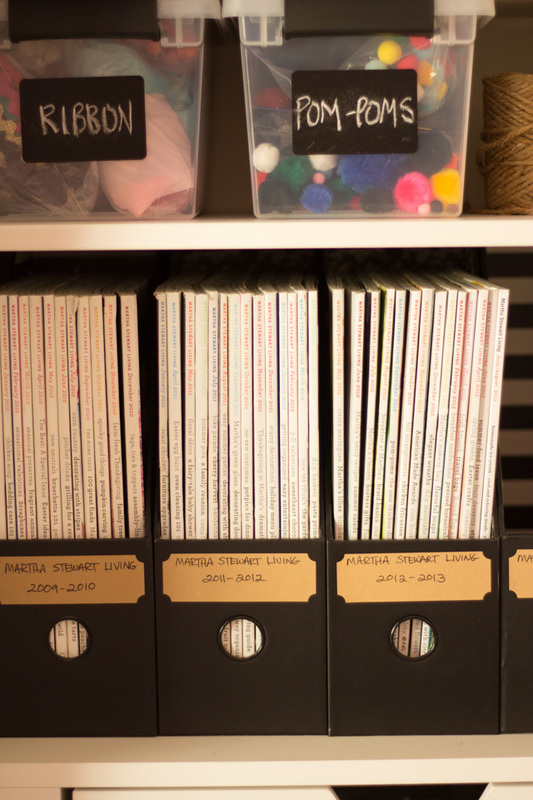 Oh so much better than my previous storage system (or lack there of). 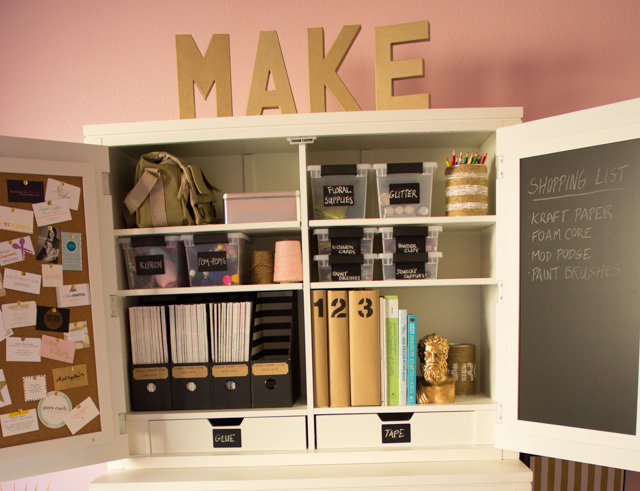 I think it will make it really easy to keep organized too – at least that is my hope! 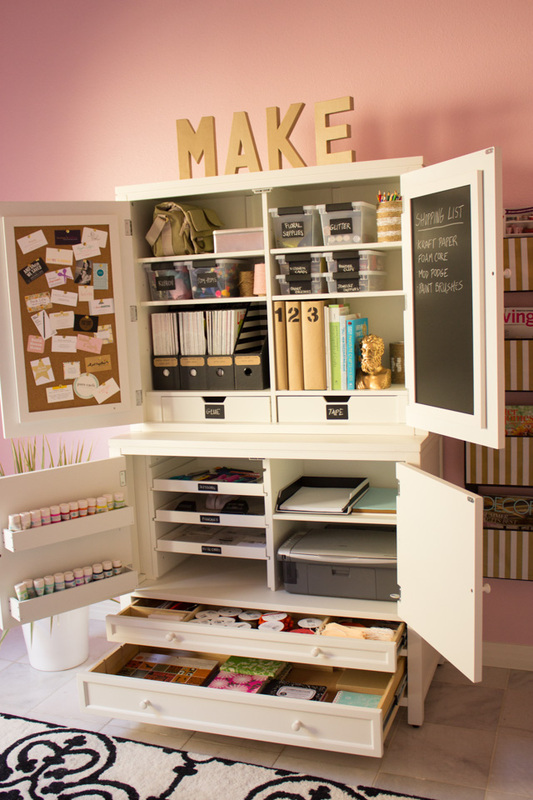 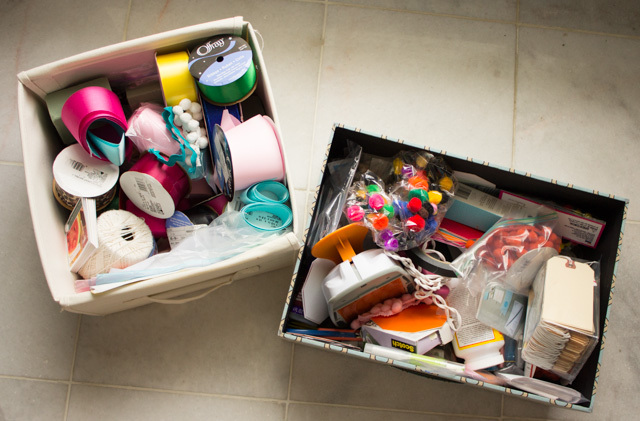 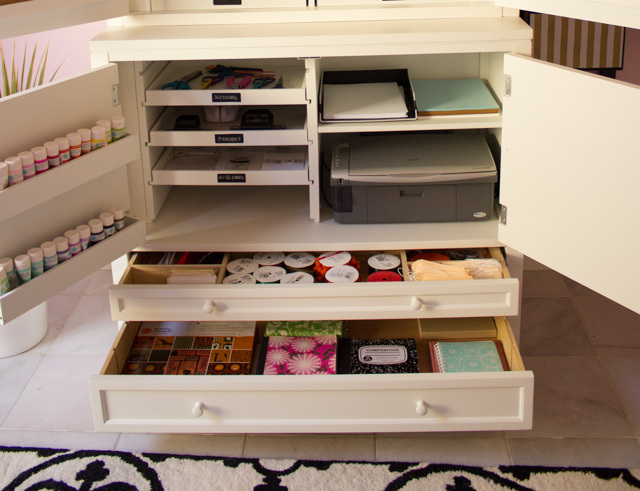 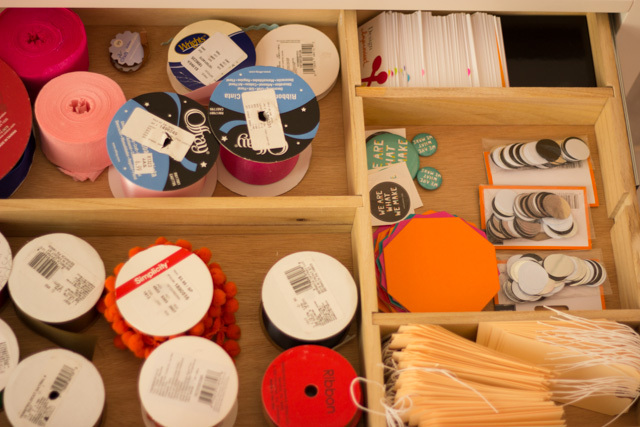 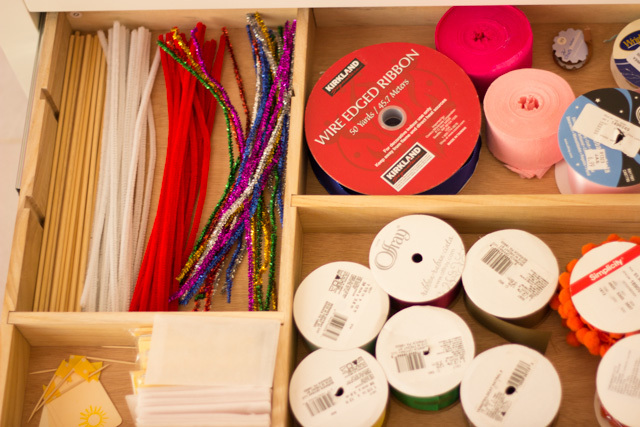 I hope this gives you some inspiration to organize your craft supplies. 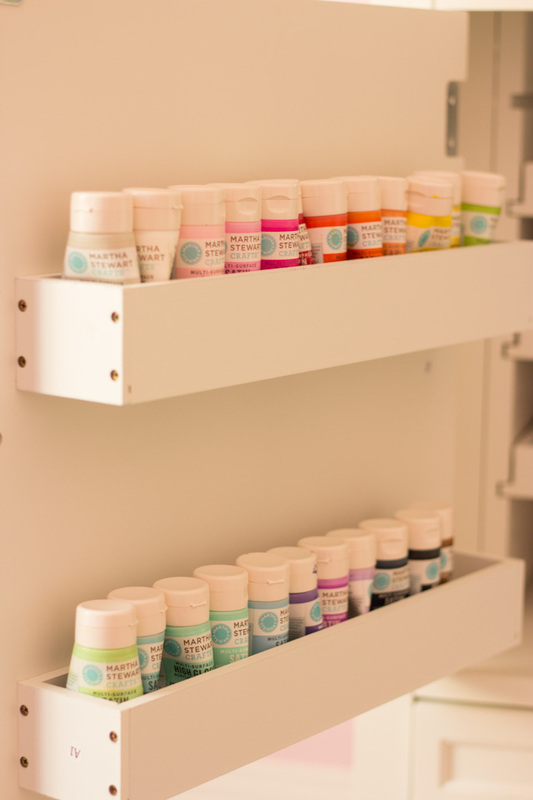 And don’t miss out on the opportunity to win $150 from Home Decorators to put towards your own craft cabinet – enter here by this Sunday 9/8/13! 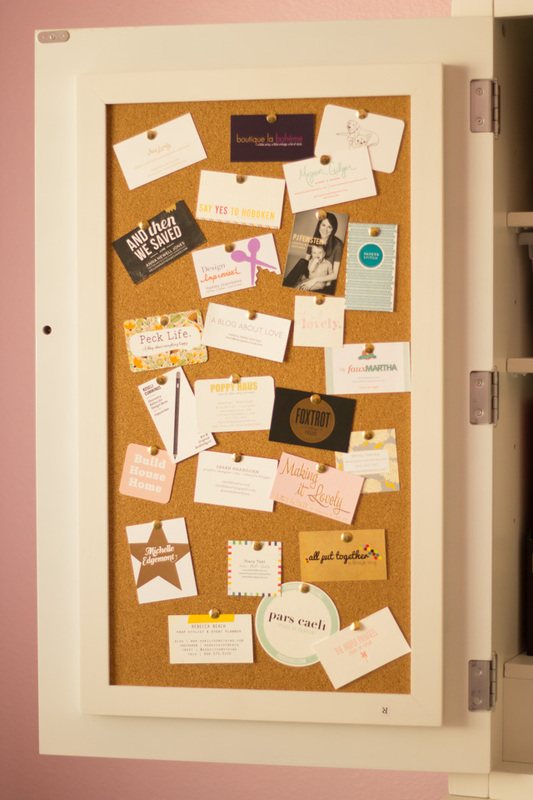 In case you missed it, make sure to check out my full office reveal!